After my post on the illusion of scholarship, people wanted specific examples. Let's start with Mormon's Codex, which Professor Terryl Givens claims is "the high-water mark of scholarship on the Book of Mormon." Foreword, Mormon's Codex, p. xvi. "Whether or not God spoke to Moses on Sinai, Jesus resurrected from the dead, or Paul wrote words given him by inspiration, no one doubts the Old World setting and ancient origins of the Old and New Testaments. 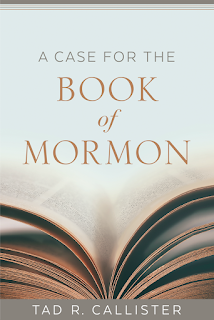 Until such time as a preponderance of evidence provides comparable historical plausibility for the Book of Mormon's ancient origin, no one can expect scholars to consider the book as anything other than a nineteenth-century cultural artifact. If such a time is to come, it will arrive in large measure through the efforts of John Sorenson, who has done more than any Latter-day Saint scholar to shift the terms of the Book of Mormon debates." This is the M2C or bust approach; i.e., you have to believe the Book of Mormon took place in Mesoamerica, and that the prophets are wrong about the New York Cumorah, or else you have to believe the Book of Mormon is fiction. Brother Givens' M2C or bust approach has two major fallacies that we must infer Brother Givens is fully aware of. First, Brother Sorenson did not originate M2C and was not the first to focus on Mesoamerica. Both were the work of RLDS scholars in the late 19th and early 20th century. Sorenson simply adopted their approach, rejecting the teachings of LDS prophets in the process. Sorenson's innovation was re-interpreting the text to fit Mesoamerica (an audacious feat of circular reasoning) and then adding lots of footnotes to support his interpretation. This, we're told, constitutes "the high-water mark of scholarship on the Book of Mormon." Regarding M2C scholarship, we have to agree with Brother Givens. But "high-water mark" is faint praise because Mormon's Codex was already underwater in the sense that it specifically and intentionally repudiates the teachings of the prophets, as we'll see below. Second, for all of his scholarly work (Mormon's Codex alone is 714 pages, plus Bibliography, Index, and Preface, with hundreds (thousands?) of footnotes, professional maps, etc. ), the only debate Brother Sorenson has shifted is away from the teachings of the prophets about the New York Cumorah. No non-LDS Mesoamerican scholar thinks the Book of Mormon describes Mesoamerican culture. M2C is completely unpersuasive to the experts. Worse, fewer and fewer LDS members are convinced by M2C. The Next Mormons contains survey data that show a rapidly declining belief in the historicity of the Book of Mormon among LDS Millennials that corresponds with the increasing prevalence of M2C. Let's be clear: thanks to the work of Brother Sorenson and his fellow M2C advocates at Book of Mormon Central, the Interpreter, BYU Studies, CES, COB, and their various other outlets, fewer and fewer members of the Church believe the Book of Mormon is "anything other than a nineteenth-century cultural artifact." M2C cannot stand on its own merits. 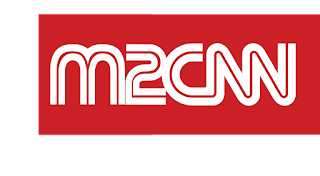 To keep the M2C hoax on life support, the M2C intellectuals depend on censoring the teachings of the prophets and the evidence that supports those teachings. The M2C intellectuals raise millions of dollars from unsuspecting Church members and pay fine young scholars to promote M2C on social media. These tactics reveal the weakness of their M2C theory even among LDS who want to believe the Book of Mormon is an authentic history. 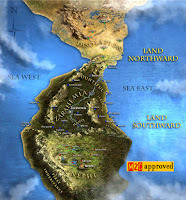 Nevertheless, because of their positions of influence at BYU, these M2C intellectuals have persuaded BYU and CES to teach the Book of Mormon with the infamous fantasy map (derived from Sorenson's M2C interpretation of the text) that reinforces the very problem Givens claimed Brother Sorenson was addressing. To slightly paraphrase Brother Givens, thanks to M2C and these fantasy maps, "no one can expect LDS youth to consider the book as anything other than a nineteenth-century cultural artifact." And yet, since the inflection point in the 1980s, M2C has replaced the teachings of the prophets. The M2C intellectuals justify this because of "scholarship." In upcoming posts, we'll examine the scholarship to see whether it deserves to be elevated above the teachings of the prophets. Brother Callister's insightful comment deserves more attention. Partial truth is part of the long-established pattern we've seen from the M2C citation cartel. Some Church employees have also resorted to partial truths to promote their private agendas. In my experience, when presented with the whole truth, members of the Church usually side with the teachings of the prophets instead of the teachings of the intellectuals. On the topic of Cumorah, the whole truth dilutes or negates the arguments of the intellectuals. This is why the intellectuals, along with their followers and employees, continue to resort to censorship, both full and partial. Here, of course, I'm referring to Book of Mormon Central, FairMormon, the Interpreter, BYU Studies, and much of the Church History Department. Sometimes censorship is achieved by completely erasing some historical facts from the record, while leaving others intact--a form of partial truth. We saw this with the Saints book, which censored all references to Cumorah while purporting to be "the standard of truth." People reading Saints have no idea that Joseph Smith and all his contemporaries and successors taught that there was one hill Cumorah and it was in New York. That form of censorship works because people never know what they are missing. Consequently, the youth in the Church and the rising generation will never know what the prophets have taught about Cumorah--unless they seek information from sources other than Saints, the Ensign, the New Era, the Friend, CES, BYU, and the M2C citation cartel. Of course, the situation should be just the opposite. Members of the Church should be able to rely on these sources for good information and complete information and accurate information. But we can't, because M2C drives the editorial decisions. To be sure, Saints and all of these sources also include good information and lots of truth. That is what makes it all the more challenging when they promote partial truth. Another fascinating example of partial truth is the Gospel Topics Essay on Book of Mormon Geography. I pointed out that this was a partial truth for two reasons. First, because the quotation is taken out of context and misleadingly paraphrased. Note what precedes the excerpt and bracketed paraphrase. "There is a great deal of talk about the geography of the Book of Mormon. 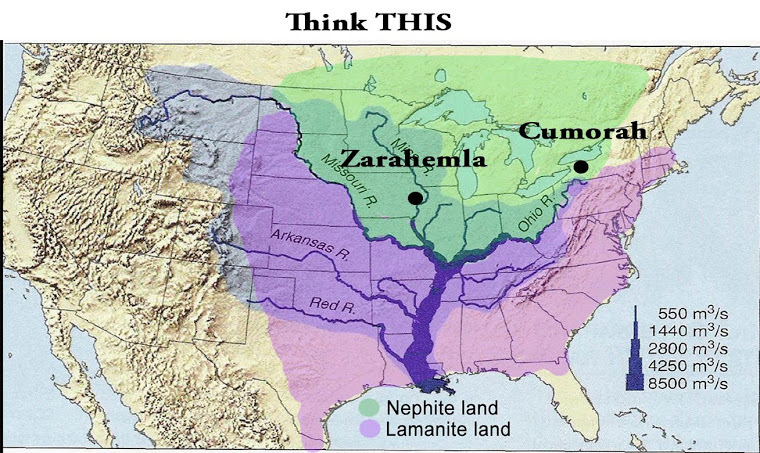 Where was the land of Zarahemla? Where was the City of Zarahemla? and other geographic matters. It does not make any difference to us. There has never been anything yet set forth that definitely settles that question. So the Church says we are just waiting until we discover the truth. All kinds of theories have been advanced. I have talked with at least half a dozen men that have found the very place where the City of Zarahemla stood, and notwithstanding the fact that they profess to be Book of Mormon students, they vary a thousand miles apart in the places they have located. We do not offer any definite solution." In 1929, President Ivins was not casting doubt on the location of Cumorah, as the Gospel Topics essay implied. Instead, he was reaffirming the two separate elements of the long-held position of the Church that (i) Cumorah is in New York and (ii) we don't know for sure where the other events took place. Second, the essay was a partial truth because President Ivins endorsed the long-held, firm, and clear position on the New York Cumorah, a position that the Gospel Topics Essay seeks to repudiate without even acknowledging the teachings of the prophets, except by misstating them and conflating the two separate elements. To avoid conveying a partial truth, the Gospel Topics essay should have included both of his talks (1928 and 1929); simply omitting one (and quoting the other out of context with a misleading paraphrase) uses partial truth to create a false impression of what President Ivins actually taught. After I pointed out the problem with this partial truth, the essay was revised. But instead of revising it to teach the entire truth, the authors/editors simply erased President Ivins altogether! 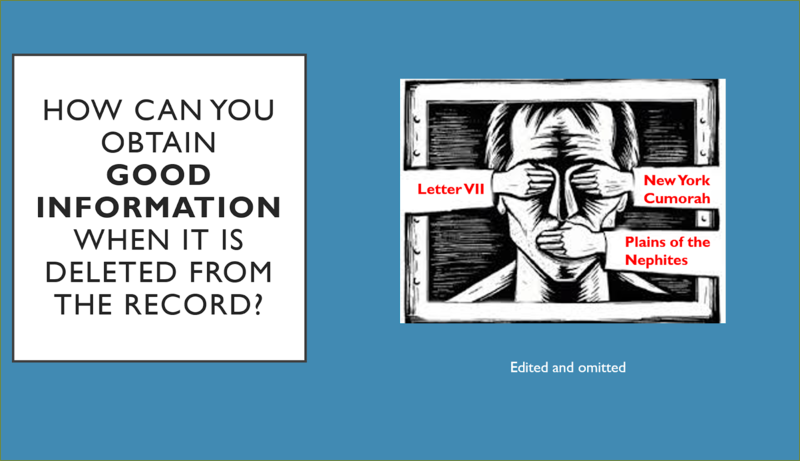 There remain other partial truths in the essay, but in the treatment of President Ivins, we see a partial truth replaced by complete censorship. For decades, I was perplexed that so few people found LDS scholarship persuasive. Now that I realize M2C is a hoax, though, I can see why it is so unconvincing to most people. M2C scholarship looks like the real thing, but it is only an illusion. It is pure M2C confirmation bias, supported by censorship. Readers frequently send me comments and materials pointing out other logical and factual fallacies in the work of the M2C citation cartel. I can't possibly put them all on this blog or anywhere else. But I can remind readers of what to be aware of when you are faced with the M2C arguments that rely on the intellectuals instead of the prophets. I encourage everyone to study the scriptures and the teachings of the prophets from General Conference. With those as a firm foundation, we can proceed to consider additional information. Don't start with the M2C intellectuals, because they are trying to persuade you to disbelieve the prophets. This is one of the best explanations of the M2C citation cartel's editorial approach I've seen yet. It is well-written, interesting, and practical--and it focuses entirely on assessing the qualifications of experts. Not once does the article suggest considering the teachings of the prophets and apostles. Of course, Book of Mormon Central and its employees cannot encourage people to consider the teachings of the prophets and apostles in General Conference as conclusive or even relevant because M2C specifically repudiates what they have taught in General Conference about the New York Cumorah. Instead, Book of Mormon Central and its employees want members of the Church to rely on the "experts," as defined by Book of Mormon Central. It's unbelievably self-serving, but it's on full display every day at Book of Mormon Central. 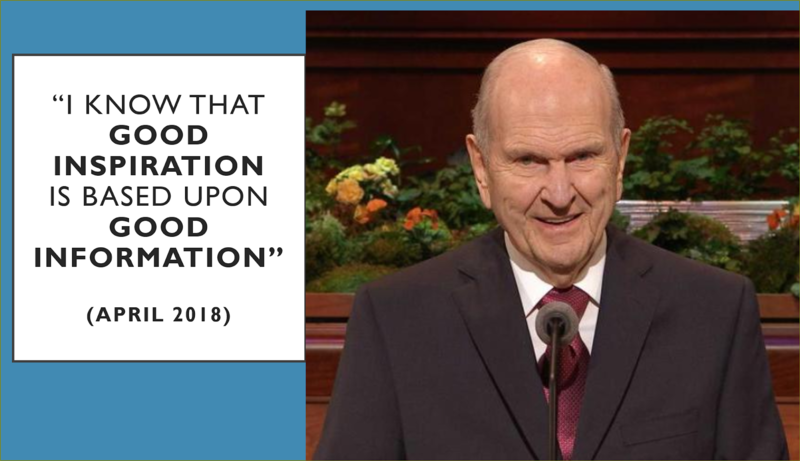 They'll throw in a few quotations from the prophets from time to time, but they don't want members of the Church to even know what the prophets have taught to the extent it contradicts M2C. And they are just as adamant about censoring information that supports the teachings of the prophets. Here are the article's 7 ways "to help you navigate the murky waters of religion on the internet." With all this focus on credentials and experts, let's look at the illusion of scholarship. In the 1980s and 1990s, FARMS published all kinds of scholarly books and articles. When that organization disintegrated, the participants formed the Interpreter Foundation and Book of Mormon Central (BMC) and continued publishing scholarly material. The BMC and FairMormon websites collected and organized the material by topics and FAQs to make it more accessible. At first glance, the scholarly material looks impressive. It has the appearance of scholarship. There are credentials (PhD, JD, MS, etc.). There are citations. There is "peer review." There is source checking and editing and all the other elements of publication that confer an illusion of scholarship. But underlying much of it is a shared assumption that was never challenged: the assumption that the prophets are wrong about the New York Cumorah, because the Book of Mormon took place in Mesoamerica and there are Two Cumorahs (M2C). Everyone involved believed in M2C. No views that challenged M2C were expressed in these publications, except as targets of attack and ridicule. These groups were citing one another, over and over. It was a citation cartel. The M2C citation cartel does produce some great research on topics related to the Book of Mormon separate from M2C, but the overriding editorial stance is M2C. And as a hoax, M2C cannot survive except through censorship and repudiation of the teachings of the prophets. Many members of the Church (me included) wanted to believe and trust these LDS intellectuals because we thought they were supporting our faith in the Book of Mormon. I accepted their teachings for decades, just like the employees at Book of Mormon Central today do. Once I realized M2C was merely hoax, with the fundamental premise being that the prophets are wrong, I took another look. I soon noticed that, to sustain the hoax, these groups were engaging in all kinds of logical thinking errors. Some of these are matters of debate. It's normal, even expected, for people to interpret facts differently, make a variety of inferences, reach opposite conclusions, etc. All of that is fine. Even healthy. 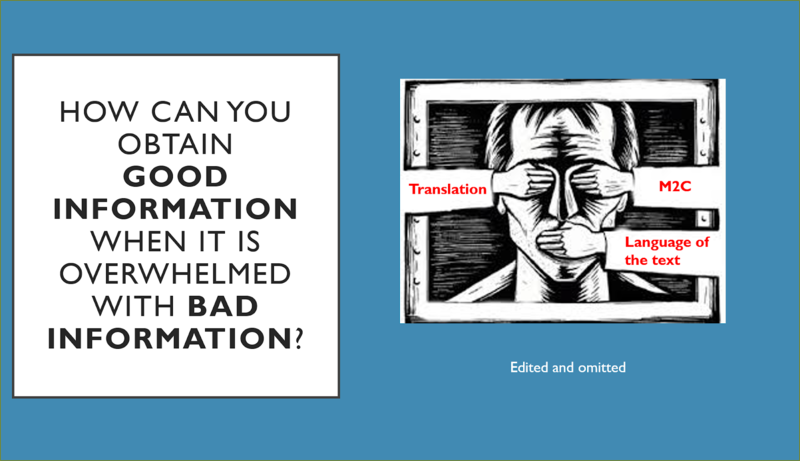 What's not fine, and what is not healthy, is the ongoing practice of censorship. The M2C citation cartel has deluded itself, and its readers, into thinking scholarship justifies censorship. They don't trust their readers to make informed decisions. You'll know that changes when they allow even a modicum of faithful intellectual diversity in their publications. 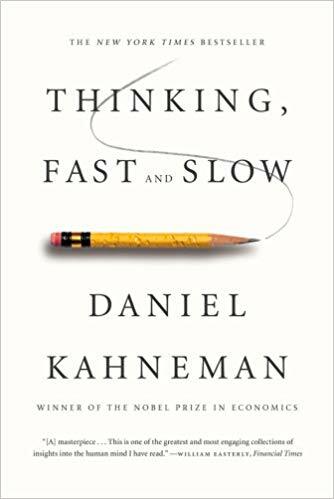 In one of my presentations at the conference, I featured Daniel Kahneman's book, Thinking, Fast and Slow. I encourage everyone to read that book. Understanding psychology would enhance both ministry and missionary work. And, it would eliminate a lot of the nonsense that circulates among LDS. Everyone should think about what President Nelson has taught. It's also true that informed decisions can only be based on good, complete information. 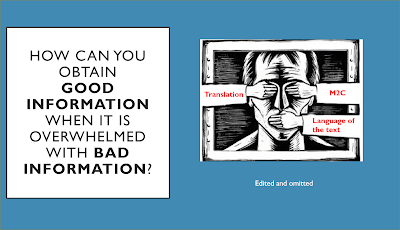 That is why the ongoing censorship by purportedly academic LDS publications and websites is so devastating. People can't make informed decisions when they are not informed. Ask around. Ask your friends, family members, ward members, and other associates whether they know what the prophets have taught about the New York Cumorah. In most cases, they will have no idea. Especially if they are around 40 years old or younger. Worse, they will never learn what the prophets have taught because of a concerted effort by M2C intellectuals and their followers (and employees) to censor these teachings. If they were educated at BYU and/or CES, and if they read the material published by the M2C citation cartel, they have no idea what the prophets have taught, except when those employees are explaining why the prophets were wrong. One commentator summarized Kahneman's book this way. "System 2" is slower, more deliberative, and more logical. The book delineates cognitive biases associated with each type of thinking. From framing choices to people's tendency to replace a difficult question with one which is easy to answer, the book highlights several decades of academic research to suggest that people place too much confidence in human judgment. A key point about System 1: It can only handle activated ideas. 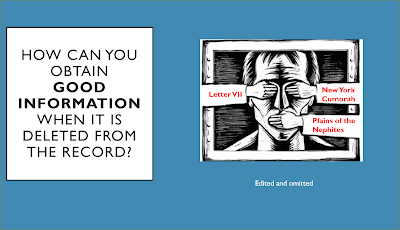 Censorship is effective because it forces System 1 to manufacture an artificial reality. Information that is not retrieved (even unconsciously) from memory might as well not exist. System 1 excels at constructing the best possible story that incorporates ideas currently activated, but it does not (cannot) allow for information it does not have. This explains why people continue to believe in the M2C hoax. Their System 1 thinking makes sense of M2C because they don't have information about (i) what the prophets have taught and (ii) the evidence that supports those teachings. The measure of success for System 1 is the coherence of the story it manages to create. The amount and quality of the data on which the story is based are largely irrelevant. When information is scarce, which is a common occurrence, System 1 operates as a machine for jumping to conclusions. Hence we have such M2C propositions that Moroni hauled the plates from southern Mexico to "a hill in New York," that Oliver Cowdery was honest and correct about everything except the New York Hill Cumorah, that Joseph Smith was an ignorant speculator who misled the Church until he learned Book of Mormon geography from a travel book, etc. The Book of Mormon Evidence Conference last week was amazing. People had a good time and learned a lot. Many ideas exchanged, etc. There were serious topics and discussions, all in a spirit of love and kindness and optimism. If you missed it, the presentations should be available in the near future. I highly recommend them. I made some announcements at the conference that I'll cover eventually on this blog. Exciting stuff. There was some discussion about the M2C hoax (M2C being the acronym for the Mesoamerican/Two Cumorahs theory of Book of Mormon geography). 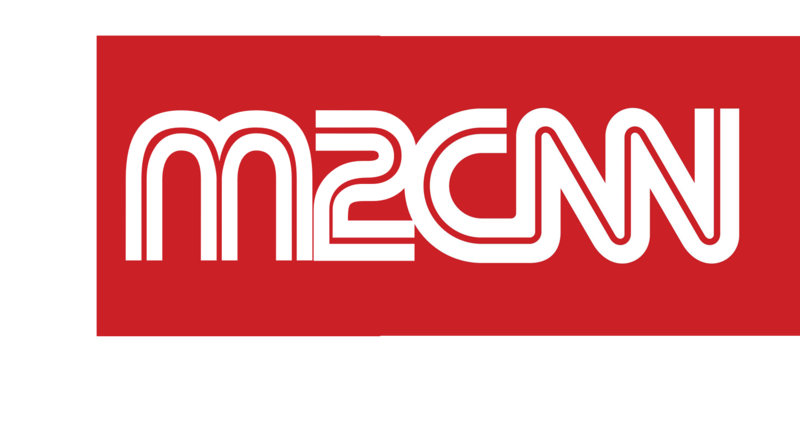 Because M2C is a hoax, one of the attendees suggested a new logo for M2C. It was a fun idea, so here it is. I'm making some announcements about this blog at the Evidence Conference. If you're in Utah, you ought to come. If not, I'll explain everything next week. There are lots of great things to discuss out of General Conference, but I'm traveling so I only have time for a quick note. President Oaks asked a thought-provoking question. "As we make current decisions, we should always be asking, 'Where will this lead?'" What is the inevitable long-term consequence of teaching the youth of the Church that the best way to understand the Book of Mormon setting is by putting it an imaginary, fantasy world of mythology? The map is designed to teach the M2C interpretation of the text. It seems to me that as CES and BYU imprint this fantasy map on the minds of the youth, the youth (and new converts) will think of the Book of Mormon in such terms. It's no wonder that millennials report a decreasing belief that the Book of Mormon is actual history. We can also ask "Where will this lead?" in the context of Church history. The Saints book deliberately changed Church history regarding the Hill Cumorah to accommodate M2C. Eventually, Church members will learn what the prophets have taught about the New York Cumorah. But they won't learn it in Church settings, which will cause them to become confused and disturbed in their faith. Think of how much better it would be for members of the Church to learn what the prophets have taught in the first place. But instead, those teachings are being censored, solely to accommodate M2C. Conference Classic - "America's Destiny"
A positive step? I hope so.